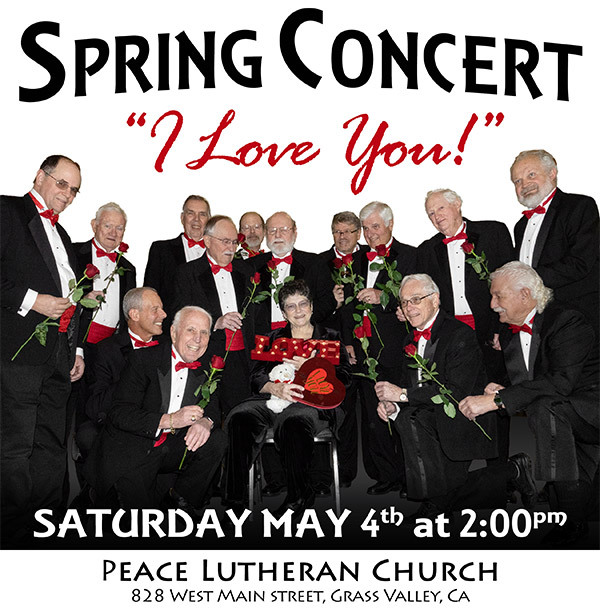 Saturday May 4th 2:00 pm at Peace Lutheran Church, G.V. Saturday June TBA 2:00 pm at Peace Lutheran Church, G.V. 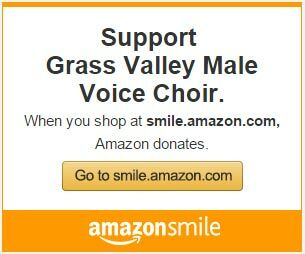 We are a group of male singers in the Sierra Foothills of California. We gather to share our love of music in the spirit of the Grass Valley Cornish gold miners of long ago. We welcome you to our concerts that range from Broadway, Americana, and folk music to Holiday favorites. "A wonderful way to spend an afternoon. Our favorite type of music. Thanks!" "My wife and I have enjoyed the fellowship as well as the beautiful singing." "Enjoyed the soloists immensely. Their love of music comes through beautifully and brought me to tears." "Keep up the wonderful singing." "Enjoyed the concert -- was tapping my toes all the way through!" "Well . . . what WOULD I do without my singing?!!" "The Choir has been a very important part of my life now for fifty-seven of my sixty-seven years, and I can't imagine ever being away from it." "Great selections, wonderful concert. Eleanor is such an enthusiastic, talented director." "It is just great to be part of such a wonderful choir and be led by such qualified people." "I love to sing and when we sing certain songs it warms my heart. God gave us music." "Thank you for the trip down Memory Lane. What a wonderful afternoon." "Your group has rich voices. Thank you." "I love to sing. I love the friends." "Wonderful Choir Director! Excellent location and time! Enjoyed the soloists! Handsome men!" "I love to sing and enjoy the socializing too." "I enjoy singing. I do some every day. It helps keep me young and healthy." "Being a singer means that you become a living instrument. That means you use your mind, body, and soul to produce music which hopefully is pleasing to all."